Indiana's tax caps -- known as Circuit Breaker credits -- can save taxpayers money on their property tax bills. But if taxpayers see their bills cut, what happens to the lost revenue? Local government units must absorb the loss. They may be able to offset the lost revenue through other funding sources, such as county income taxes. Or, they might have to cut back on their budgeted spending. 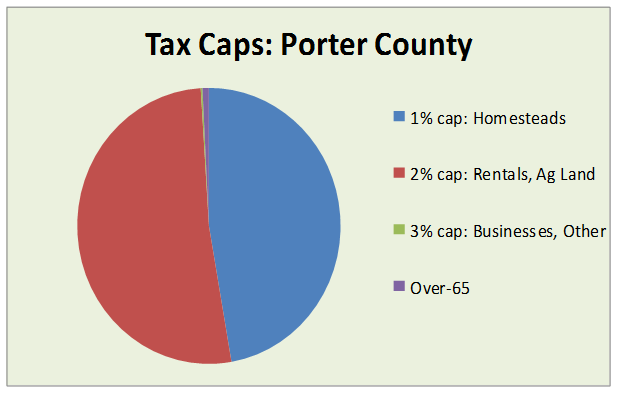 For more details on the loss to individual funds within each Porter County taxing unit, click on the state report, Impact of Property Tax Caps, 2015. Not only are the dollar amounts quite different, but so too are the allocation of the credits -- in other words, what category of taxpayers enjoy the most savings from the tax caps? What category has the least amount of Circuit Breaker credits? In Porter County, residential rentals and other property in the 2% category realize the most savings from the tax caps, with nearly $6.4 million in tax credits applied. Homesteads are next, with nearly $5.9 million in tax savings. The 3% category -- which includes businesses and personal property -- is the smallest category, with just $26,268 in tax savings. The situation is very different in Lake and LaPorte counties. 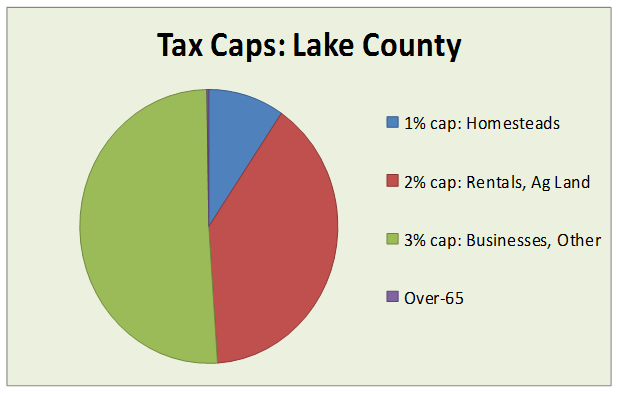 In Lake County, the 3% category is the top tax cap category, with $49.6 million in savings to businesses, personal property, and other property. The 2% category follows, with $38.4 million in tax cap savings. 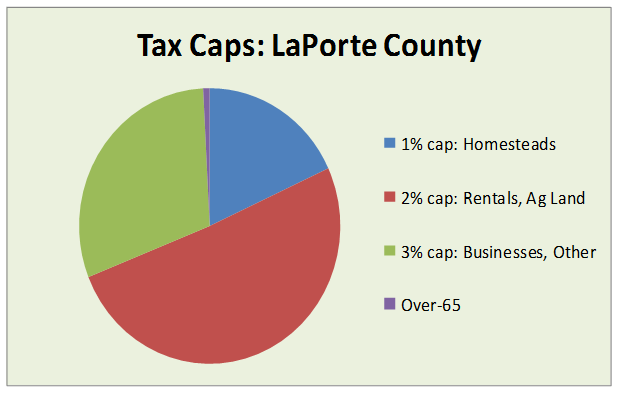 In LaPorte County, the residential rental category is the top tax cap category, with $12 million in tax credits, followed by the 3% category, with $7 million in savings to businesses, personal property and other non-residential property.